Jim Coles is no newcomer, but it feels like only recently that he’s found his calling. 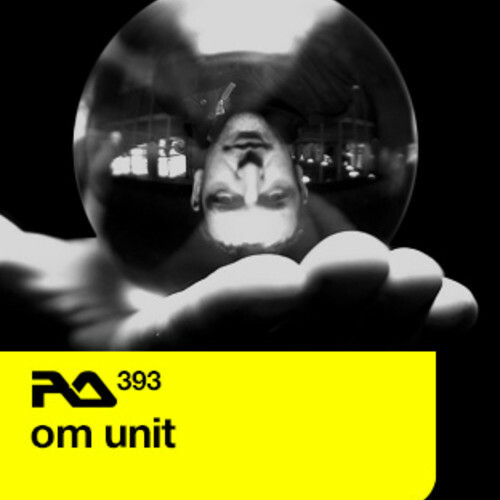 After years of releasing hip-hop as 2Tall, the London producer gave himself a new identity, Om Unit, in 2010. He put out a series of records that jumped headfirst into the then-splintering dubstep scene, colouring between the lines with funk, electro and drum & bass. Then, as Philip D Kick, he dropped jungle singles that were re-edited in a footwork style, an influential series of bootlegs that laid out the rhythmic science that would become his trademark. Those tracks revealed a spiritual connection between footwork and older UK styles of club music, and the footwork rhythms inspired Coles to start working at a higher tempos, as he told us in our recent profile of the jungle resurgence. That fertile ground was the foundation for his more recent releases, culminating in this year’s debut album Threads on Civil Music, as well as releases for established drum & bass outposts like Exit and Metalheadz. His RA podcast shows off what he’s all about these days—careening rhythms, big basslines and a sense of momentum that’s explosive but always controlled. With tracks from peers like J:Kenzo and frequent collaborators like Sam Binga and Machinedrum, it proves that bass music is in good hands these days, and as open-ended and experimental as ever. I’ve finished up a couple of remixes for some stateside labels, and have been out in Canada and the northern US on tour, which has been a lot of fun. I released my LP Threads on Civil Music recently, which I’m very happy to say has been well received, way more so than anticipated actually, which is awesome. We put two videos up recently and a free four-track EP of music that didn’t quite make the cut. Other than that I’ve been really busy touring. I’m writing this from my US tour, and in between I’ve been working ahead on new bits for Metalheadz for 2014. I recorded this mix at home. I thought about really supporting contemporaries and a bit of showboating of my own stuff, too. It’s kind of a recreation of what I would approach as a DJ set whilst playing out, but potentially more thought-out, if you get my meaning. It’s very simple really—it’s stuff I’m playing out a lot, a representation of the kind of 160/170 BPM realm that I’ve been tirelessly banging the drum for the past two years or so. It’s a representation of the family circle within that world. You told us that footwork sparked your reconnection with high-tempo dance music. Whose production styles do you admire the most? Well, I think discovering footwork music opened my mind up to new possibilities at that tempo, and from working on the Phillip D Kick edits series (which was the first jungle-footwork project ever put together, alongside Machinedrum’s “Ecstasy Boom” edits), which in turn led to the Dream Continuum project and onwards. I should add that also listening to dBridge and the Exit guys, the Autonomic stuff, too, was hugely inspirational for a whole generation of producers, including myself—not just drum & bass guys either. Some more remixes to do, more shows. I will be out in New Zealand, Australia and South East Asia in February, and will be continuing to write more music as ever, including more bits for Metalheadz for 2014.